On August 1st, 2017, a group will create a hard fork of the Bitcoin protocol. The forked cryptocurrency, Bitcoin Cash (BCC), will be traded on several exchanges including ViaBTC and will be supported by hardware wallets including the Trezor, according to the company. 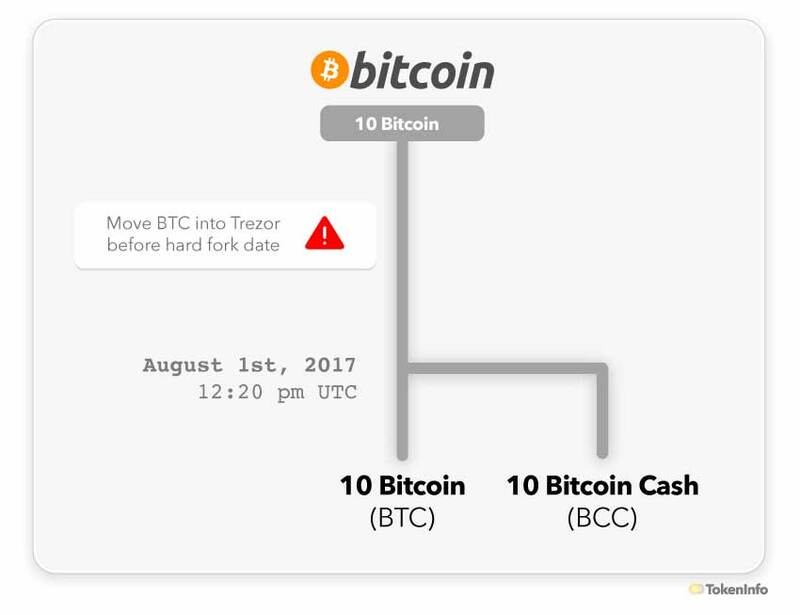 Once forked, Bitcoin Cash will be redeemable 1:1 for your Bitcoin balance prior to August 1st since it is a clone of the original Bitcoin blockchain and all of the prior transactions and blocks remain on both chains. In practice, this means that if you have 10 Bitcoin before the August 1st hard fork, you will be eligible to receive 10 BCC after the hard fork if your coins are stored on an exchange or wallet that supports Bitcoin Cash. Move your Bitcoin into a Trezor hardware wallet before Aug 1, 2017 to have access to BCC. We will try to support as many chains as possible, however as our servers depend on Insight, a BCC fork of Insight will be necessary. Additional currencies are added through firmware update. However, assuming TREZOR will support BCC, you do not need to run the update before August 1st. As you hold the private keys for your cryptocurrencies, at the moment of fork you will still have your private keys. FW update will only enable you to use your keys for another currency. Replay protection was just merged into BCC. This cleared the major hurdle to supporting BCC. We will release our plan soon. Bitcoin Cash, also known as Bitcoin ABC/User Acitvated Hard Fork (UAHF), is a hard fork of the Bitcoin blockchain. A hard fork is a permanent divergence from the prior version of the Bitcoin blockchain. How Much Bitcoin Cash Will I Get? Example: If you own 15 Bitcoin prior to the UAHF, then after Aug 1, you will have your original 15 Bitcoin (BTC) and 15 Bitcoin Cash coins if your private keys are stored with a provider that will support BCC such as Trezor or you control your own private keys. How Much Is Bitcoin Cash Worth? BCC is trading on futures markets at ~$400 per coin. Coinbase has publicly stated they will not support the UAHF Bitcoin Cash. It is recommended that you store your Bitcoin on a hardware wallet that will support BCC such as the Trezor or Ledger, or that you control the private keys yourself by other means such as with a paper wallet.